More and more of us are looking to dairy-free alternatives. So much so that the UK dairy consumption levels have dropped by a third in the last twenty years. So why should you consider swapping from lactose full to lactose-free? To begin with, you could be doing your skin a favour, especially if you're prone to acne or breakouts, as research in the Journal of American Academy of Dermatology found a link between dairy consumption and acne. And it's often one of the food groups that are best avoided when trying to settle down skin. "If you are lactose-intolerant or vegan, dairy-free milks are a necessity," says Hala El-Shafie, dietitian and psychology of eating expert. "However, some of the alternatives can be nutritionally inferior to cow's milk, so it's essential to look for milks that are fortified with vitamins and minerals such as calcium and B vitamins." Then, of course, there are ethical reasons for not wanting to exploit cows for their milk. Whatever your reason for swerving a glass of the white stuff, the good news is that there are so many dairy-free alternatives out there that genuinely taste delicious that it's not hard to find one you'll enjoy. Scroll on for the best milk alternatives. Soya or soy (same thing) milk is probably the most common and the original dairy-free alternative and with good reason. Made from dried soy beans that are then ground down in water, it is not only packed with protein but also all nine essential amino acids that you need. It's also a great source of calcium and iron. A phyto-oestrogen, there has been much debate around the health pros and cons of this food source. You can read more about soy here. Another negative with soya milk is that it can be high in sugar, especially the flavoured varieties. 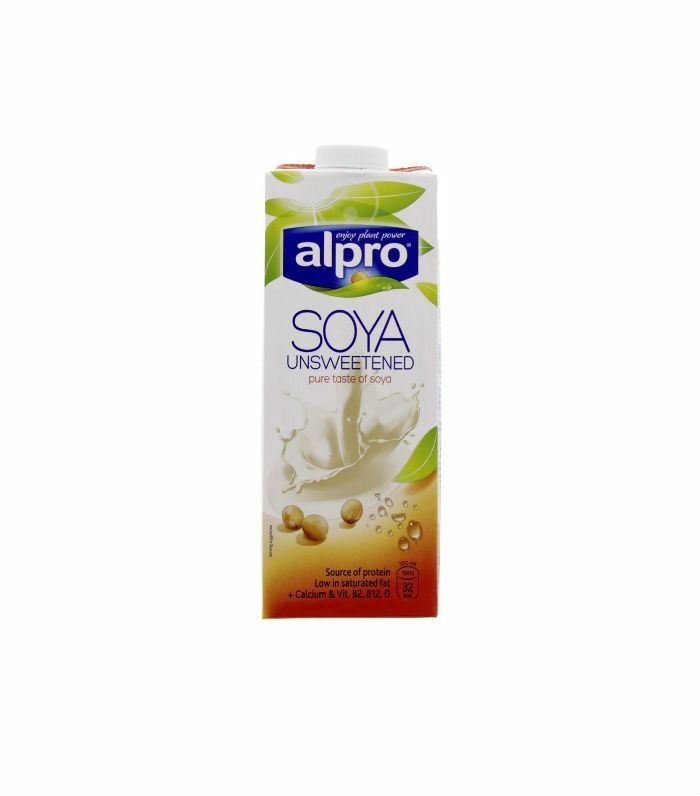 To avoid unnecessary calories, opt for an unsweetened version, like this one from Alpro, instead. We all know how good almonds are for us; a handful of them is always touted amongst nutritionists as the best snack you can eat. It's also one of the best milk alternatives you can reach for. Almond milk is naturally low in saturated fat and high in calcium, vitamin D, potassium and magnesium. This one contains ground organic almonds and spring water, and that's it. No other additives or anything, so you know you're getting a pure milk-free option. 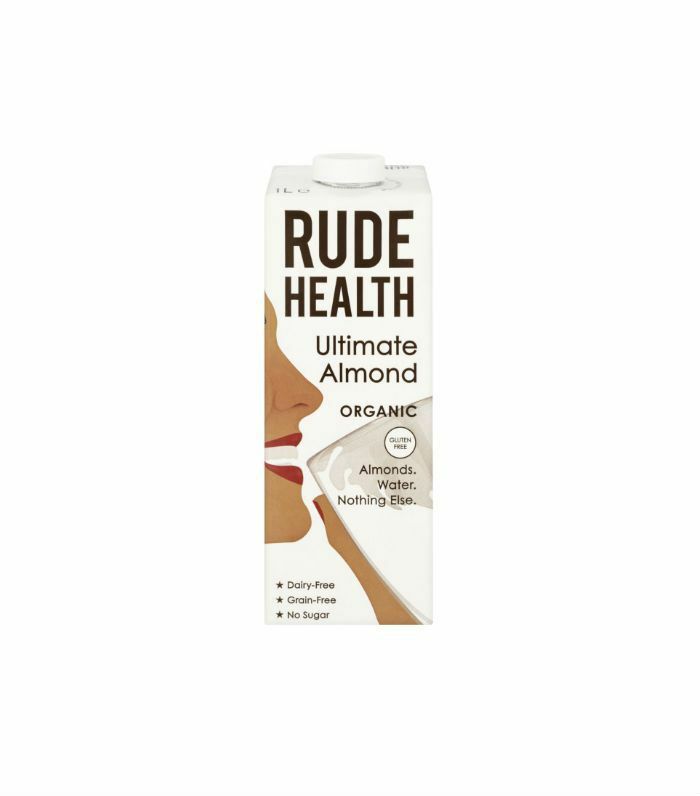 Plus almonds are naturally creamy, so for those who can't stomach plant-based options, this is a great way to go. Compared with cow's milk, this option is more expensive, but in our eyes, it's worth it. If you're used to using coconut milk in cooking, then this is a fab way of phasing out cow's milk because it's a taste you're already familiar with. Added to that, the fact that it's also a well-known "brain food," delivering energy to our brain to make it work harder, then it's an absolute winner. The only downside to coconut milk is that it contains more saturated fat per gramme than any other of the nut-based milks. However, it's worth noting that it's a type of fat that is easily broken down by your body and used up as energy, making it a great option for gym bunnies. If you're not planning on being active, then have it in small amounts. 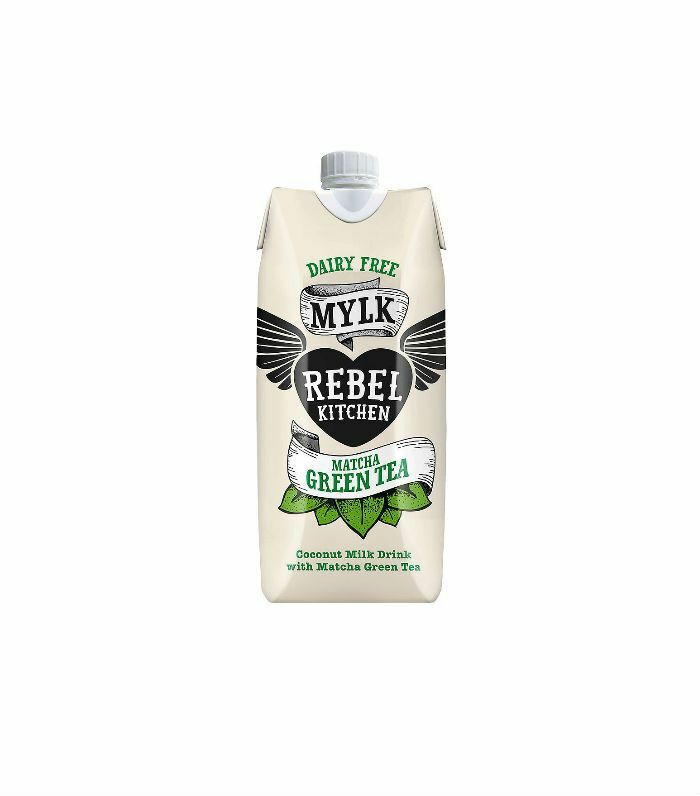 There is only 11% in this matcha-flavoured version along with all the antioxidant-boosting properties of matcha green tea. When you leave a bowl of porridge oats soaked in water, you end up with a gorgeous, creamy, milky liquid. And that is essentially how oat milk is made. It contains all the benefits that a bowl of porridge does, plus it's low in fat and has a low GI, meaning it will keep you fuller for longer. 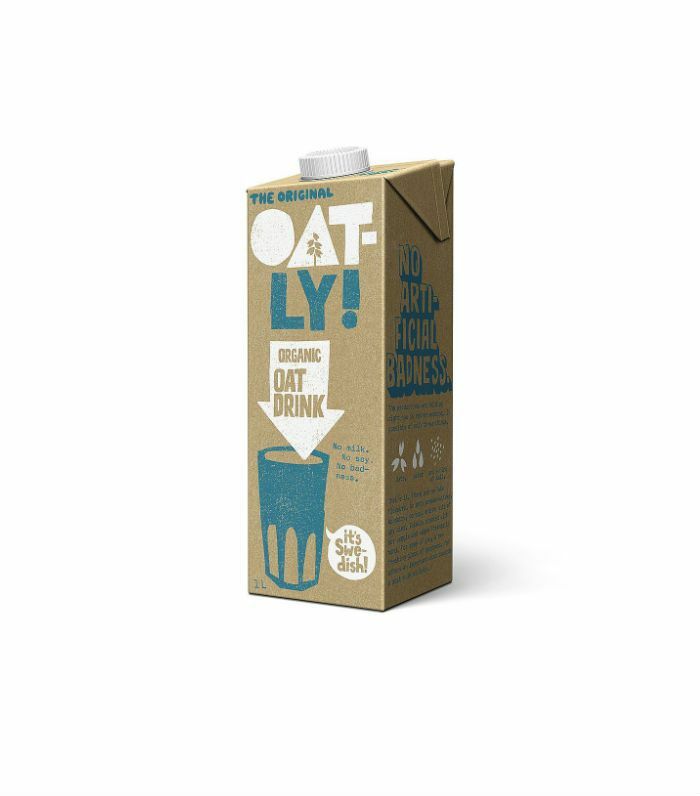 Oat-Ly oat milk is made from oats, water and a pinch of salt—so quite literally all the ingredients you would find in a bowl of well-made porridge. If you lead a gluten-free diet, then it's best to read the ingredients before buying, as oat milk doesn't tend to be gluten-free. Much like almond milk, cashew milk is naturally low in saturated fat whilst being very high in calcium and vitamin D. This one from Plenish contains only cashew nuts, filtered water and a pinch of salt, plus, and this is a big plus, this is probably the closest to the texture of cow's milk that you can get. So if you find a lot of milk alternatives too watery or a bit gloopy, then this is the option for you. If you have a soy or nut allergy, then your choices for a milk alternative are more limited. However, along with oat milk, rice milk is your other option. 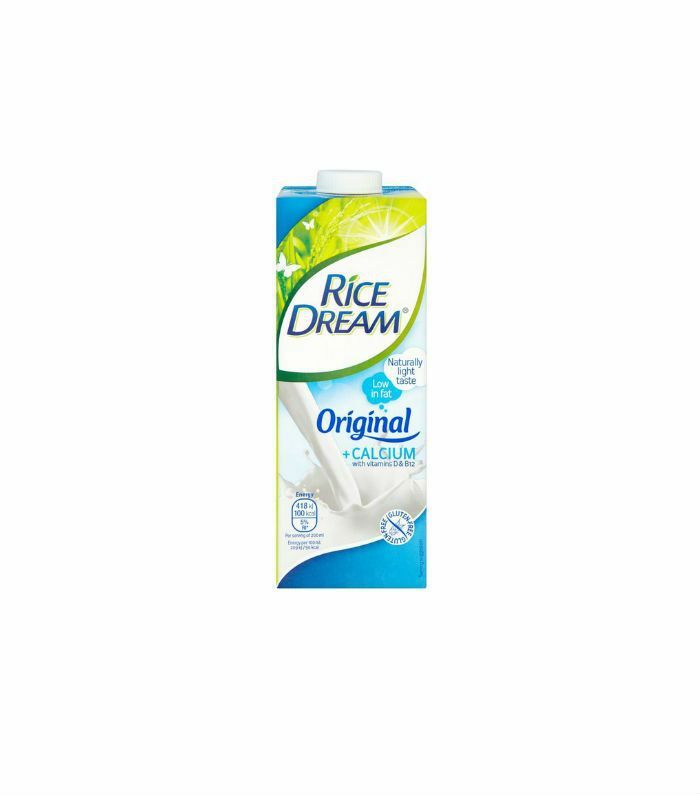 Rice milk has the least amount of saturated fat and cholesterol than other dairy-free options, however, it has a higher sugar content. That's all down to the amount of starch in the rice. But it does contain a lot of antioxidants, which are great for protecting you from infection, so with rice milk, it comes down to what is most important to you. 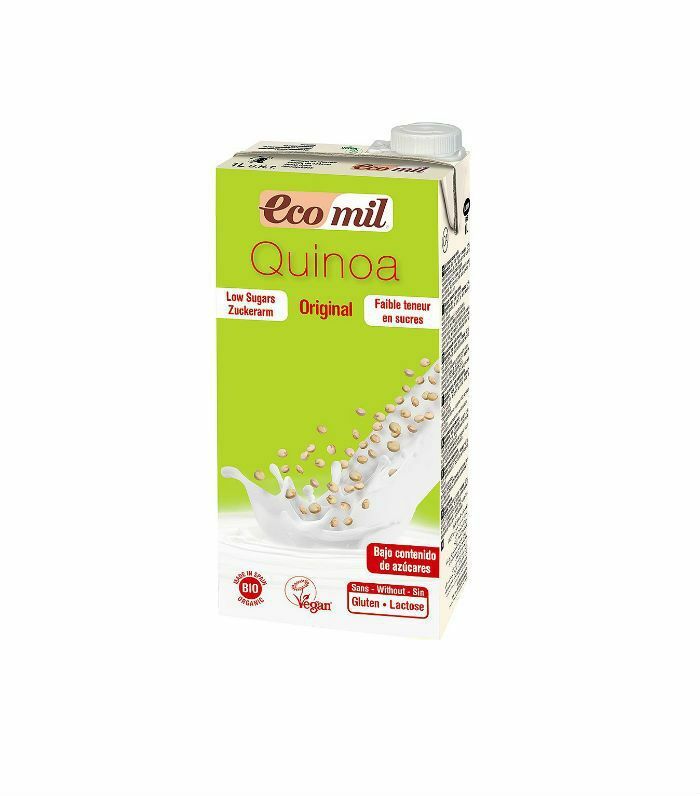 Not just for eating in your superfood salad, you can also get quinoa in milk form. Drinking it has similar benefits to eating it in that it's low in fat, has a low GI and is high in fibre. But, and this is quite a big but, it's not the nicest of milk alternatives that we've tried. There is a certain earthiness to the flavour, which may not be everyone's cup of tea, plus it's not as readily available as the other milk alternatives, but good organic supermarkets and health food shops do stock it. Next up, fix everything from anxiety to IBS with these herbal remedies.